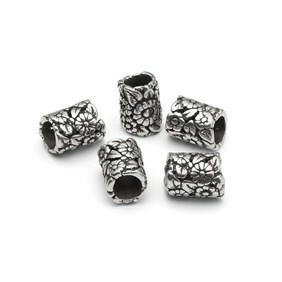 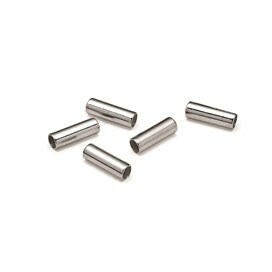 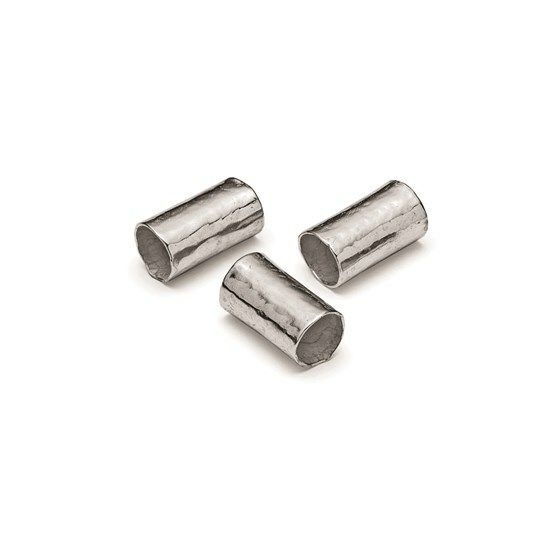 These 15mm long silver plated tube beads have a lovely hammered texture which gives them a really contemporary look. 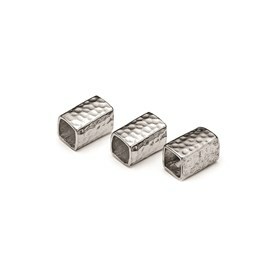 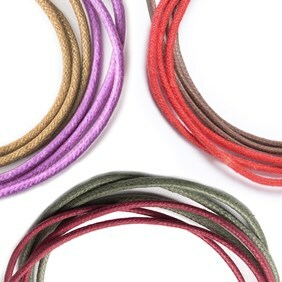 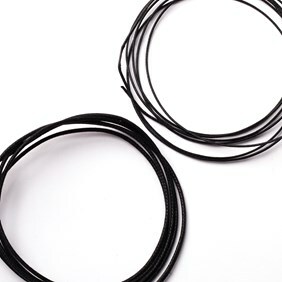 The hole is approximately 7mm so will accommodate braided designs and thicker cords. 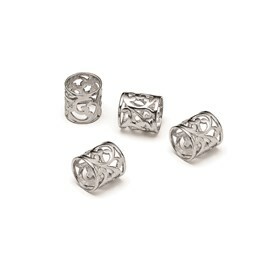 Mix and match with our other large hole beads for a look that's right on trend!